Blackdown Sussex Dry Gin is a popular Craft Gin available from Amazon.co.uk in 70cl to buy online. Visit Amazon.co.uk for the best price for 70cl of Blackdown Sussex Dry Gin or compare prices on our other Craft Gin products. A clear, bright liquid with delicate woody aromas. The predominant notes are juniper, coriander, citrus and silver birch. Full of flavour and slightly sweet with a very smooth and refined mouth feel. Traditional citrus finish, smooth and refined on the palate. Perfect served chilled over ice, as a cocktail paired with Blackdown's Sussex Bianco Vermouth to create the perfect Dry Martini. Where to buy Blackdown Sussex Dry Gin ? Blackdown Sussex Dry Gin Supermarkets & Stockists. 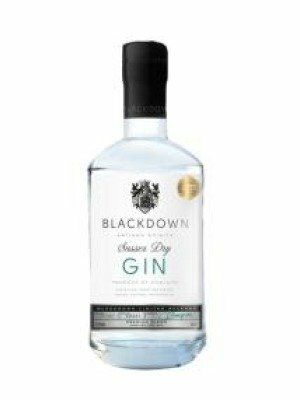 You can buy Blackdown Sussex Dry Gin online in most retailers and find it in the Craft Gin aisle in supermarkets but we found the best deals online for Blackdown Sussex Dry Gin in Amazon.co.uk, TheDrinkShop, and others. Compare the current price of Blackdown Sussex Dry Gin in 70cl size in the table of offers below. Simply click on the button to order Blackdown Sussex Dry Gin online now.